A number of years ago, as a part of my Doctoral studies, I wrote a paper on George Muller of Bristol, England. I used one of the stories from Muller’s life in this morning’s sermon. Here is the full 26 page paper on Muller’s life. You can also access it in pdf format here (if you want to download to put on an iPad or Kindle, or to print to read offline). Near the end of the book of Hebrews, the biblical author has tucked away two great verses that appear to have no more in common than their resting place in a final set of admonitions from the pen of the prophet. However, upon further examination, Hebrews 13:7-8 tie together perfectly, and together they form the foundation for any believer’s thoughtful reflection on history. “Remember your leaders, who spoke the Word of God to you. Consider the outcome of their way of life and imitate their faith,” the prophet writes. For “Jesus Christ is the same yesterday, today, and forever.” Since Jesus does not change from one generation to the next, He can thus be counted upon to deal faithfully and in the same character with people across history, from Pentecost to the present. Knowing that is true, we can look to the example of our “leaders,” both contemporary and historical to see how God deals with His people. This truth was a blessed promise for George Muller, the 19th century giant of faith who was used by God to found the Ashley Down Orphanage in Bristol, England, along with decades of missionary and pastoral service on four continents. Muller read these verses early in His life, and it changed His course forever. If Jesus did not change, then that meant that He was still the God who worked His plans in history, and He was still the God who listened to the prayers of His people. With 18th century saints like George Whitefield, August Francke, and John Newton as his “leaders,” Muller set out to imitate their faith. Today, believers everywhere would be wise to remember the life of George Muller, and considering the outcome of His life and the fact that Jesus Christ does not change, imitate his faith, especially as it relates to the arena of prayer. While Muller’s life is interesting and worthy of study on many levels (including missionary service, ministry to the poor and downcast, and financial giving), his life particularly stands out as a shining example of a finite man trusting an infinite God to make good on His promises through prayer. In his journal, Muller writes, “Every believer is not called upon to establish orphan-houses, charity schools, etc., and trust in the Lord for means; yet all believers are called upon, in the simple confidence of faith, to cast all their burdens upon Him, to trust in Him for everything, and not only to make every thing a subject of prayer, but to expect answers to their petitions which they have asked according to His will, and in the name of the Lord Jesus Christ.” Therefore, the prayer life of George Muller is a matter of intrigue and example to all believers. The book of James tells us that “Elijah was a man just like us. He prayed earnestly that it would not rain, and it did not rain on the land for three and a half years.” Over 2,500 years after Elijah’s death, the life of George Muller is again a reminder that God still works through ordinary people to do extraordinary things as God’s people pray. In his journals alone, Muller recorded over 50,000 specific answers to prayer in his lifetime. Given that example, we now want to investigate further to see what it is about George Muller’s faithful prayer that we need to remember. Some teachers rely on their spoken words to get things across. Others depend upon their life example to lead the way. In the life of George Muller concerning his teaching on prayer we have both. In his copious journals and annual reports, we see what Muller himself believed and taught concerning prayer, while his biographers and contemporaries testify that his life was a living lesson on faith and prayer. As we proceed in our examination of his teaching on prayer, we will divide our study into four parts. First, we will look at how an acknowledgement of need led him to pray. Second, we will look at how that need transferred into a resolute faith that God would act. Third, we will see that faith led Muller to make specific and consistent requests to God for Him to act, and God’s specific provision in response. Fourth, we will see that when believers pray in this way, that God receives the glory for the great things He has done. By looking at Muller’s life in this way, we will see a faith we should model as we pray. It is a known fact of life that people do not normally call out for help unless they are in need. Indeed, it is not until a fire is burning before the fire department is called, and it is not until the nose is sneezing before the doctor’s visit is scheduled. One possible exception to this axiom might be noted in the case of small children. Often a child will call upon their parent for help, even when they have yet to try something. For instance, a small child may be fully capable of climbing down out of their own chair, but have grown accustomed to having their Mom or Dad lift them down, and therefore have drawn the habit of asking for help in all things. As it relates to the spiritual life and the prayerfulness or prayerlessness of believers, this principle also holds true . . . and the life lesson of George Muller underscores its point. In his life it is both the needy circumstances that he faced and his child-like dependence upon the Father that caused Muller to spend many an hour in prayer. Even Muller’s choice of life mission in the construction of the orphan houses at Ashley Down in Bristol was a testimony to the premise that our recognition of need precedes our dependence in prayer. Muller wrote in his journal concerning the orphan houses that “the first and primary object of the work was (and still is) that God might be magnified by the fact, that the orphans under my care are provided with all they need only by prayer and faith without anyone being asked by me or my fellow laborers whereby it may be seen, that God is faithful still, and hears prayers still.” The very nature of orphan work thus appealed to Muller because it would put him in a situation of great need . . . trusting God for all things. The fact that Muller and his wife had taken the oath of poverty helped to publicly showcase this connection even more as Pierson writes, “The cost of the houses built on Ashely Down (the orphan houses that Muller built) might have staggered a man of large capital, but his poor man only cried and the Lord helped him.” Further, Muller decided early on in his ministry that he would not carry over a balance or keep a savings account in his ministry so that he would always be in a position to trust God for all the necessary resources each day. Though from an outsiders perspective physical needs seemed to be the primary agent God used to lead Muller to pray, there were other needs that led Muller to his knees. In 1871-72, Muller and his staff sensed the spiritual “deadness” of the children in the orphanage, and that led them to pray intensely for revival in their orphan houses. Difficult times of plague and illness led Muller to pray for protection for the children and workers from disease. Some might have wondered why Muller did not pray for disease and difficulty to never enter into their lives, however, that would be to deny the very things that lead us to pray. Muller wrote in his journal that the trials of life were but intersections to turn our hearts to God. The connection of the recognition of our need to spending time in prayer is clearly seen from the life of George Muller. In fact, it seems from Muller’s teaching and practice that a primary purpose for prayer is to bring our supplications before the Lord. With that as a primary purpose, the more needs, the more prayer. Muller recorded more than 50 particular requests that he would bring before the Lord each day in prayer. This connection of recognition of our need to spending time in prayer is a key one for our lives as well. As an earlier quote from Muller indicates, not all people are called to give up all their possessions or to run an orphanage, yet all people are called to trust God for great things. An abandonment of our human resources merely magnifies, not creates, our constant and perpetual needs before our Savior. Whatever the lifestyle choice and ministry we are a part of, we all should learn from Muller to take time to survey our needs, then bring them before Him in prayer. When faced with great needs, as George Muller was, how a man responds to their need reveals much about where their strength is found, and who they are trusting in. In the case of George Muller, his walk through needs proved not to be a test of his faith, but a testimony to it. Throughout his life and the many needs he faced as detailed above, Muller never doubted that God would be His great provider, and that faithful response, led him to pray on many occasions. So, we see that it is faith in God that allowed George Muller to respond to the many needs he faced with believing prayer, but where did that faith come from? Upon investigation of his life, it appears that Muller’s faith in God was a gift from God wrought in the study of His Word and the testimony of past experience. This faith was then put into practice by trusting in God alone, and not other means, for their provision. The first foundation for Muller’s faith in God was found in the testimony of God’s Word, the Bible. Early on in his life, George Muller became a fervent student of the Scriptures, and found in them the very spiritual bread of life, and the confidence for believing prayer. Muller believed that the entire Bible, both Old and New Testaments, was given to mankind so that we might know the character of God, discern His promises to us, then count on them to be fulfilled in our lives. Muller believed that it was inconceivable for God to fail on making good on any of His promises to us, therefore they could be counted on and fully worthy of our faith. Muller believed that a sovereign and holy God owed nothing to mankind and was not obligated to that creation in any way . . . except when God made a promise, thus voluntarily obligating Himself to do certain things for mankind. Indeed, Muller often quoted Micah 7:20 which says, “You will be true to Jacob, and show mercy to Abraham, as you pledged on oath to our fathers in days long ago.” When God gave His oath, Muller counted on it in believing prayer. Muller also believed that God would only answer prayer in instances where the people were living in line with His revealed Word. That led Muller to change his course of action on more than one occasion in order to bring it in line with God’s Word, so that His prayer would be effective before a holy God. On one occasion, after fervent study of the Word, Muller became convinced that the Scriptures clearly taught against the practice of infant baptism. Muller immediately was baptized himself as a believer so that his prayers would not be hindered by his unwillingness to obey God’s revealed truth. On another occasion, Muller founded the Scriptural Knowledge Institute (SKI) instead of working with other missions agencies because of the perceived unbiblical practices of these other groups. Both the faulty theologies concerning evangelism taught by these other groups and their handling of money and debt led Muller to found his own organization. To Muller, if God were to answer the prayers of people not living in line with His Word, it would jeopardize the integrity of God before an unbelieving world by showing Him to be a rewarded of those who do not fully trust Him. Through the study of Scripture, Muller found the seeds and substance of faith. However, when it came to growing that faith, Muller was not left with merely records of things God had done thousands of years before. Muller’s faith was grown throughout his life through the consistent provision of God in his life in answer to believing prayer. While Muller was in school, he felt he would better be able to trust in God if he were not being financially supported by his father. So, after telling his father that he would no longer accept any money, Muller’s faith was bolstered by God’s immediate provision of a part-time job to help pay the bills. Later on, while Muller was pastoring a church at Teignmouth, God provided for all his material needs, even when the church stopped supporting him financially through a salary. After founding the Scriptural Knowledge Institute and embarking on the care of orphans in Bristol, Muller’s faith was again strengthened, as God provided for their ministry in abundance in the early days of their ministry. In each of his first three years there, the giving increased each time as ministry expanded to more and more children. As Pierson writes, “As faith was exercised, it was energized” in the life of George Muller. Therefore, throughout Muller’s early life and ministry, God was growing His faith through providing for him as he trusted in God’s promises. One of the things that made most clear Muller’s faith in God, was his unwillingness to trust in anyone or anything else. Over the course of his seventy years of ministry, Muller made known a need that he had only once. . . and that was when he mentioned in an annual report that they needed more orphans! Amazingly, Muller and SKI collected the equivalent of nearly ten million American dollars over 50 years without ever asking any human for anything. All requests were made to an audience of one, the almighty God who hears prayers. Indeed, Muller routinely published annual reports that recorded all that had happened with SKI and the orphanages, but these reports were famous for the conspicuous absence of needs. This was done purposefully, so that they would trust only in God, and not in individuals who might be persuaded to give by worldly means. On one occasion, Muller even delayed the publication of the annual report for several months while their finances were especially low so that no one would think that the release of the report had anything to do with the giving that Muller was sure that God alone would provide. Muller’s faith in God alone to provide is one of the strongest testimonies his life has given to all Christians who have followed him. Some might think this to be a “crazy” practice, but to the man of faith, this made absolute sense. Muller wrote in his journal, “In truly knowing the Lord, in really relying upon Him and upon Him alone, there is no need of giving hints directly or indirectly, whereby individuals may be induced further to help.” Again, Muller wrote, “Earthly friends may be removed by death, and thus we may lose their help, but He lives forever, He cannot die. In this latter point of view, I have especially, during the past 40 years, in connection with this Institution, seen the blessedness of trusting in the Living God alone. Not one nor two, nor even five nor ten, but many more, who once helped me much with their means, have been removed by death; but have the operations of the Institution been stopped on that account? No. And how came this? Because I trusted in God, and in God alone.” May the testimony of this faith impact us as we pray to this same God. So far, in our survey of the life and teaching of George Muller on prayer, we have seen the role that recognition of need played in his prayer life, and how that need dissolved into faith in the God who could meet that need. In this section, we will see how Muller’s faith translated into an active prayer life where he routinely and systematically bought these requests before God and waited upon Him to provide. In doing that, we will take a look at Muller’s prayer life, examining his teaching on prayer and his personal experiences in bringing his specific requests before his provider God. 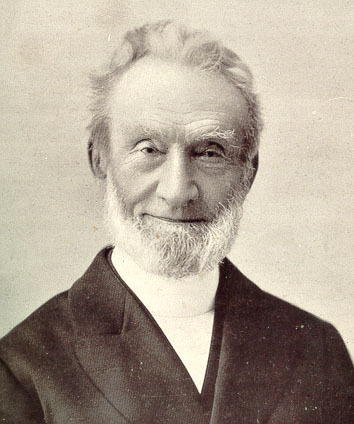 In his teaching, George Muller was careful to outline a set of criteria for people to follow in order to have what he termed “prevailing prayer.” Muller wanted all believers to experience the joy of seeing the all-powerful God answer their specific prayers, and thus went to great lengths to inform people everywhere through his journals, autobiography, and worldwide teaching ministry of what he saw were the biblical qualifications necessary for God to hear and respond to the prayers of a believer. The first condition of prevailing prayer for Muller was total dependence upon Jesus Christ. The second condition of prevailing prayer was forsaking all known sin in one’s life. As previously stated, Muller felt that God would be compromised if He answered the prayers of those who were not walking in fellowship with Him. The third condition of prevailing prayer for Muller was the exercise of faith in the promises from God’s Word. We have previously looked at Muller’s perspective on this in detail. The fourth condition of prevailing prayer was asking things according to God’s will, not selfish motives. For Muller, people should never make requests of God for only our desires. Instead we should make requests of God only as they work according to His glorious plan. Finally, Muller believe that prevailing prayer must be prayer that perseveres. God will answer prayer according to His will, but it will be according to His time table. In these five conditions, the conditions were laid out by Muller and supported by Scripture so that people everywhere might experience the same blessings in answered prayer that Muller himself lived through each day. However convincing and helpful were Muller’s teachings on prayer, the practice of prayer in his life was even more compelling. Muller was a man of fervent prayer, who believed that spending time with God should take priority over all other tasks one might have on their agenda. To this end, Muller himself got up early each morning at four o’clock to spend time in prayer before he started his day. Never were his days too full to spend ample time in prayer each morning. In fact, he was often heard saying that if someone only had five hours to accomplish a task, then one would definitely accomplish more through one hour of prayer and four hours of work than through five hours of work alone. This was especially true for those involved in full time Christian work. Muller warned ministry leaders everywhere he went to not let the work of the Lord prevent someone from spending time with the Lord in prayer. When explaining to people how to pray, Muller would encourage them to make an argument before God according to His promises found in His Word. Muller believed that God loved to hear His people remind Him of His Word, and therefore, we should argue our case before Him accordingly. Muller was quick to point out, however, that our arguments were never to “convince” God of anything. They were more to convince ourselves that God would truly act according to His Word. Indeed all the specific requests Muller made at the beginning of their orphan ministry were answered, yet one problem remained. Muller had prayed for everything they needed, except praying that there would be orphans to live in the house! Interestingly enough, everything was provided, except they had no children to move into the house just shortly before it was ready to open. They had not even received one application of a child to live in the house. Muller then brought this request before the Lord in prayer, and from that time on, the house filled quickly, and they were always in need of more space for children for the next 25 years. This taught Muller that when it came to what to pray for, nothing should be off limits, no matter how small or assumed it might be. Over the course of his life, Muller prayed for things as small as that luggage would not be lost on mission trips to things as large as millions of dollars for the construction of a large complex of orphan houses. Muller truly brought all his needs before the Lord in prayer. When Muller brought things before the Lord in prayer, he recorded in his journals very specific things that he would be asking in faith for God to do in accomplishing his requests. For instance, once the boiler broke at the orphan house in the middle of winter. Fearing that it would take long for the boiler to fix and that it might be dangerously cold in the orphanage in the meantime, Muller began praying two specific requests. One, that the wind might shift around to the south and the temperature increase. Second, Muller prayed that the workers who would fix the boiler might have a “mind to work” so that they would finish the repair quickly. On both accounts, God answered these specific requests with specific provision. Indeed, the day the repair was to start, the wind shifted from the south and the temperature went up to bearable levels. Also, the men who came to fix the boiler asked permission to work all night long to finish the project so that the orphans might not have to endure another day without its function. When Muller asked specifically, God answered that way, and God received great glory for the work. On another occasion, Muller was set to speak in Canada, but was stuck on a boat in the Atlantic in a dense fog that prohibited him from proceeding. Muller prayed with the captain of the boat for the fog to clear, and much to the surprise of the captain, the fog was clear by the time the men had concluded their time in prayer! Muller’s specific requests received specific answers. Another time, a great drought hit the Bristol area, and dried up the wells that provided the orphan houses with water. Muller prayed that God might provide them with water even in this time of drought, and the Lord answered this specific request by having a nearby farmer offer his well’s water to the orphanage until the drought had lifted. Still on another occasion, the orphanage was without any money or food one morning, and did not know where the food was going to come from for the breakfast the children needed to eat. Muller was not fazed, but brought this before God in prayer. With the children lined up to receive their breakfast, as they did every morning, Muller prayed and thanked God for the food they were about to eat, though nothing was in the cupboards or in the serving bins for the children to eat! Upon finishing his prayer, there was a knock at the door and the local baker was standing on the other side. It seems the baker had a dream the night before where God told him to give the orphan house a bunch of bread, so the baker was there to deliver enough bread for the orphanage for the rest of the week. Further, the milk truck had just broken down in front of the orphanage, and the milk man was forced to give all his supply so that it would not spoil before he could get his truck fixed. Therefore, God answered Muller’s prayer in a mighty way, and the children indeed did have breakfast that morning! Muller also endured great patience in prayer as it related to the salvation of many of his friends. Muller prayed for the salvation of some of his acquaintances for five, ten, and even twenty years before they came to Christ. Just before Muller died, he told friends that there were some people he had been praying over 60 years for their salvation. Though they never trusted Christ in his lifetime, Muller died still believing that God would lead them into a relationship with him before they passed away. On more than one occasion, God’s delay in answering Muller’s prayers proved providential. When the orphanage was looking for a long term location for their orphan houses, they located a parcel of land to buy, but were unable to get in contact with the owner for several days despite desperate prayer to contact him. When the land owner finally returned their calls, he informed them that just the night before God had told him in a dream to sell Muller the land at Ashley Down for a far cheaper price than the going rate. God’s patience in timing resulted in great benefit to Muller and SKI. This helped solidify Muller’s faith that the timing of God’s answers is always right. Muller believed that God did not want any ministry or Christian to ever go in debt. Therefore, he would not commence construction until all the necessary means were in place to pay for the buildings. That translated into years of prayer that preceded each of the building projects he would undertake before the funds were in hand to build. From the decision to build the first orphan house to the final construction was complete, it was over 25 years. For 25 years, Muller trusted God in prayer for these buildings, and for 25 years God was faithfully working His plans out over time. Persistence in prayer was a hallmark of prayer in the life of George Muller. Perhaps one of the greatest testaments to George Muller’s prayer life, though, was the consistent wonder he had at the provision of God through answered prayer. Though he saw thousands of answers to prayer, he never lost sight of the blessing this was, or ceased to give God praise for His gracious response. Not that Muller was surprised that God acted, as faith instructed him to always believe that God would answer, but Muller saw all provision as an answer to prayer. From one small penny to thousands of pounds, Muller saw each as equally amazing, as they were both provided by an awesome God. May we all echo his praises as we experience the manifold blessings of God in our lives in response to prevailing prayer. With each prayer request that was answered, and with each miracle that God worked, Muller was determined to not let the wonder people expressed center around him, but continued to point people back to His Provider God. Even the publishing of his annual reports and journals was a cause of great concern for George Muller. He did not want these reports to in any way be construed of his boasting in anything other than what God had done. To that end, Muller titled his journals “The Lord’s Dealings with George Muller” in an attempt to show that it was God who was the lead character and primary mover in his life. Muller even hesitated in even distributing his first copies of “The Lord’s Dealings” out of a fear that it might somehow turn the focus away from God and onto himself. In the end, however, Muller did release his journals, and we are so thankful that he did. In them, we see God work in powerful ways, and God gets the glory as a result. When George Muller started his orphan work in England, there were only 3,600 orphans in orphanages in England. Due primarily to his orphan houses, and orphan houses that were inspired by the Lord’s dealings in Bristol, 100,000 orphans were being cared for in England just fifty years after Muller began the orphan houses on Ashley Down. To that end, God received great glory and honor as people saw his good works, and glorified their father in heaven. The orphan houses at Ashley Down never bore Muller’s name. Instead they were referred to as simply, “The New Orphan House at Ashley Down” or other non-descript name. Muller insisted on this so that people would not think that George Muller had provided a home for these orphans. Instead, he wanted people to know that it was God who had provided the orphanage, and therefore God would receive the glory. In the last annual report that Muller would issue before his death, he once again focused people on the great things God had done so that God would receive the glory and credit for all that had happened. Summarizing his life in ministry, Muller said, “The primary object I had in view in carrying on this work was that it might be seen that now, in the nineteenth century, God is still the Living God, and that now, as well as thousands of years ago, He listens to the prayers of His children and helps those who trust in Him.” Up to the end of his life, Muller remained focus on the glory of God, and set as his mission the task of helping others trust God to work His power in their lives. When great need is met with great faith and brought to a great God in prayer, God receives much praise when He answers that prayer. When examining the life of George Muller and his practice and teaching on prayer, much can be said and much can be seen. Indeed this paper could be twenty times as long, and still yet scratch the surface of all the things which Muller saw God do in answer to prevailing prayer. However, what has been seen is the core of his teaching and practice of prayer. Namely, that people should recognize their needs and believe that God can work to meet that need, then bring the need before God in a specific request, and wait for His provision so that He receives the glory. A.T. Pierson said of the life of George Muller, “His one supreme aim was the glory of God; his one sole resort, believing prayer; his one trusted oracle, the inspired Word; and his one divine Teacher, the Holy Spirit.” Hopefully this paper has supported that central thesis. In closing, at George Muller’s funeral, James Wright took the stage to provide some closure to the many eulogies and kind words that were said on George Muller’s behalf. Wright said, “He used often to say to me, when he opened a letter in which the writer poured out a tale of sore pecuniary need, and besought his help to an extent twice or three or ten times exceeding the sum total of his (Muller’s) earthly possessions at the moment, ‘Ah! These dear people entirely miss the lesson I am trying to teach them, for they come to me, instead of going to God.’ And if he could come back to us for an hour, and listen to an account of what his sincerely admiring, but mistaken, friends are proposing to do to perpetuate his memory, I can hear him, with a sigh, exclaiming, ‘Ah! These dear friends are entirely missing the lesson that I tried for seventy years to teach them. That a man can receive nothing except it be given him from above.’ And that, therefore, it is the Blessed Giver, and not the poor receiver, that is to be glorified.” As we conclude this brief survey of George Muller’s life, let us not merely marvel at this man’s faith. Let us rejoice at the object of His faith, and join his example in trusting God on our knees. Muller, George. Answers to Prayer. Chicago: Moody Press. George Muller, Answers to Prayer: From George Muller’s Narratives (Chicago, IL: Moody Press), 16. George Muller was greatly influenced by these three men’s biographies which he read in the early days of his ministry. Whitefield was an evangelist in America, Francke operated an orphanage in Halle, and Newton was a song writer who wrote “Amazing Grace.” See A.T. Pierson, George Muller of Bristol: His Life of Prayer and Faith (Grand Rapids, MI: Kregel Publishing, 1999), 137. J. Hudson Taylor has said that the spiritual maturation of a Christian is just the opposite of the physical maturation of humanity. Physically, we move from the cradle to independence. Spiritually, we move from independence to the cradle. Of George Muller, A.T. Pierson writes, “George Muller was never so really, truly, fully a little child in all his relations to his Father, as when in the ninety-third year of his age.” Pierson, 43. Muller Answers to Prayer, 91. Muller Answers to Prayer, 53. George Muller Release the Power of Prayer (New Kensington, PA: Whitaker House 1999), 52-53. Muller Answers to Prayer, 71. Muller Answers to Prayer, 99. Muller Answers to Prayer, 12. Muller Release the Power of Prayer, 101. Muller Answers to Prayer, 22. Muller Answers to Prayer, 68. Muller Release the Power of Prayer, 100-104. For a full run down of Muller’s chief Scriptural support for these claims, see Pierson, 170. Muller Release the Power of Prayer, 130. George Muller The Autobiography of George Muller (New Kensington, PA: Whitaker House, 1999), 70-79. Muller Answers to Prayer, 13. Muller Answers to Prayer, 14-15. On one occasion, Muller was reported as praying for all the luggage to be unloaded from the hull of a ship after arrival. Interestingly, at first this luggage was missed during the unloading process, only to be found in an unusual double check by the crew so that indeed the luggage did all make the trip. See Pierson, 173. Muller Release the Power of Prayer, 72-75. Colin Whittaker Seven Guides to Effective Prayer (Minneapolis, MN: Bethany Publishing, 1987), 15-16. Muller Answers to Prayer, 44.